Hi, my darlings! I have a little treat for all of you tonight! 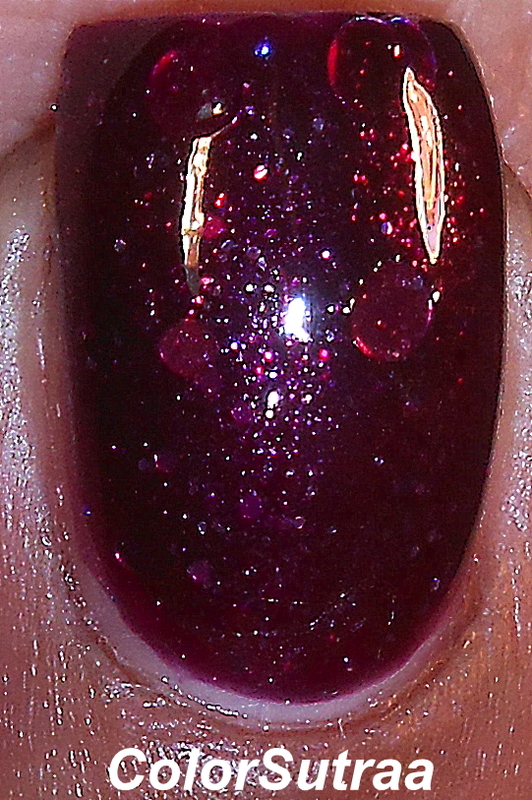 The lovely Jen send me the A Box, Indied February exclusive by her brand, Jindie Nails and BOY! is it GORGEOUS! This beauty will officially be releasing tomorrow so it's time to share it with the world!! 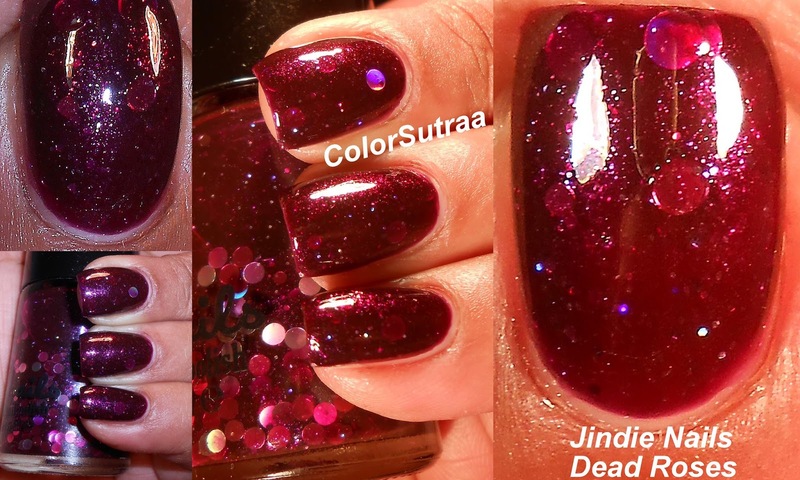 Dead Roses is a gorgeous, vampy darkened reddish-burgundy jelly with small and large holographic circle glitters, with added holographic shimmer. I had no issues with the formula or application--the circles all came out rather easily, with nothing but a little swirling of the brush in the polish. The swatches below show 3 easy coats, topped with 1 generous coat of G&G's HK Girl to finish the look. I'm absolutely in love with the rich shade of this polish and it's the perfect addition to this month's box's Anti-Valentine's Day theme! So there you have it, my darlings! A Box, Indied's February box will be releasing on February 25th for the price of $50 and shipping is free on Llarowe's website HERE! Along with Jindie's Dead Roses, there will be four other polishes exclusive to this box from four talented indie makers! Remember to like and follow A Box Indied's Facebook page, Jindie Nails' Facebook page and Llarowe's Facebook page for all the latest updates! 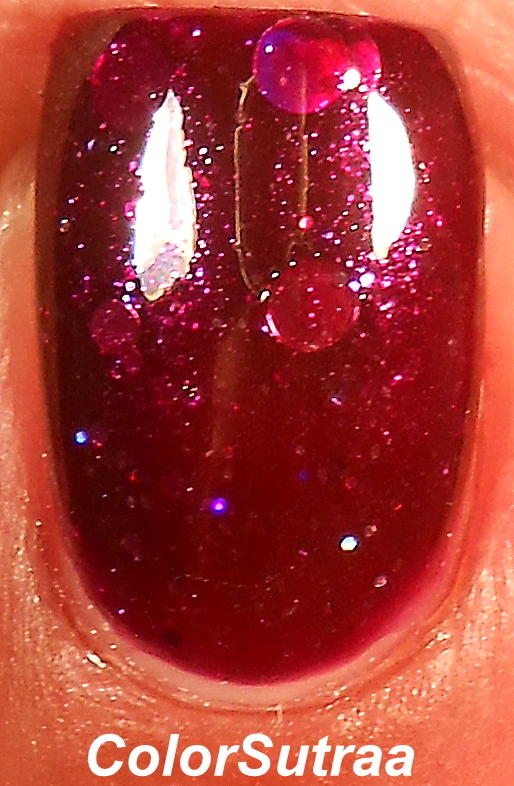 You can also check out Jindie Nails' storefront HERE for all her other beauties! Will you be picking up February's box? I'd love to hear from you in the comments section below! Fantastic swatches! I have this polish as I purchased the box, it looks great on you and your nails are beautiful!! !